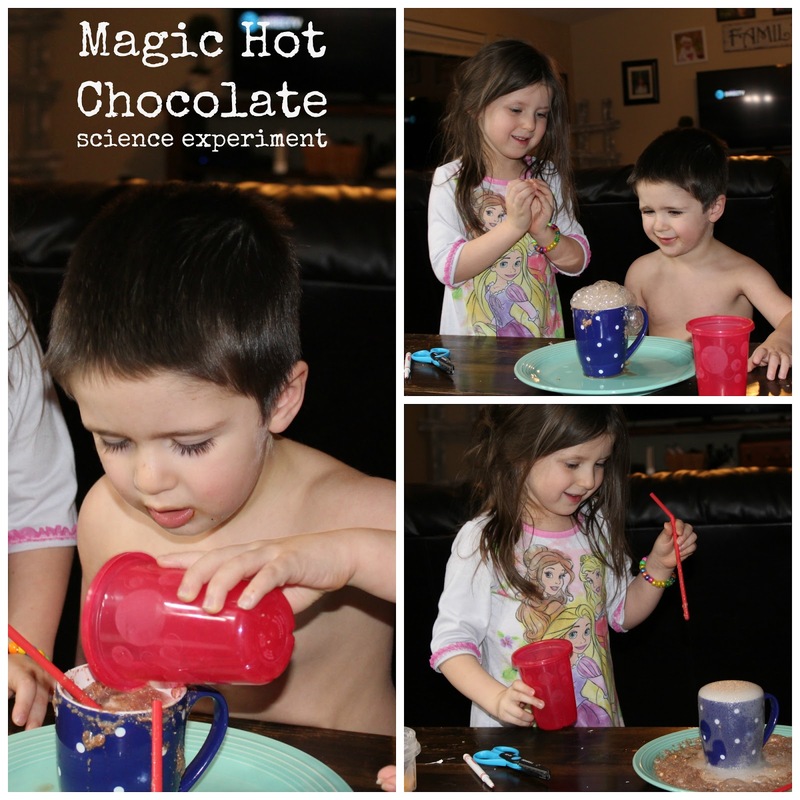 What's better in the winter then a cup of hot chocolate?!?! One of the great things about teaching preschool at home is we are not on a schedule and learning can happen any time! 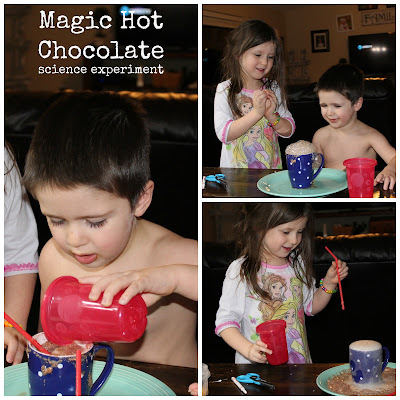 The little ones wanted hot cocoa and it reminded me of a fun experiment I saw here. Our quiet night quickly turned into a fun experience and with a couple ingredients you can do this too! This little girl was delighted and loved every second of it. We tried adding more magic water at different speeds...fast was pretty exciting! We even stirred it with a straw to see if anything would happen. We used mini marshmallows for some fine motor and name practice. 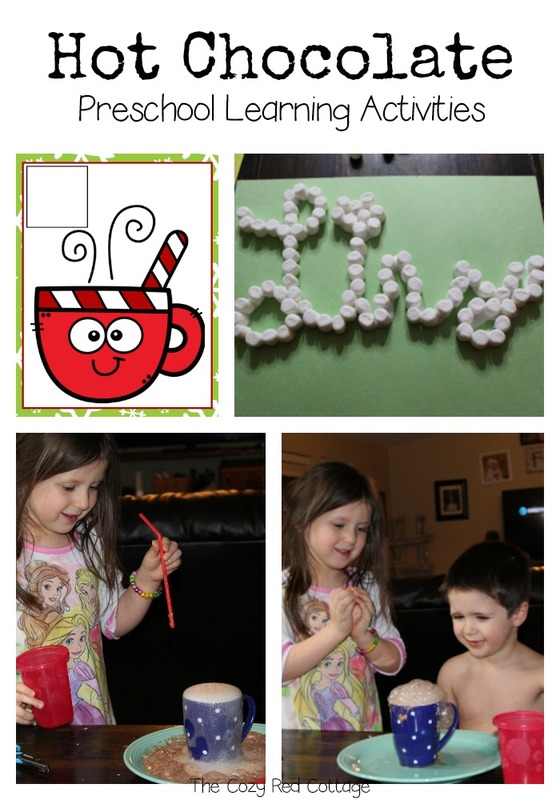 Write their name on a piece of construction paper. Using a glue bottle go over a letter or 2. 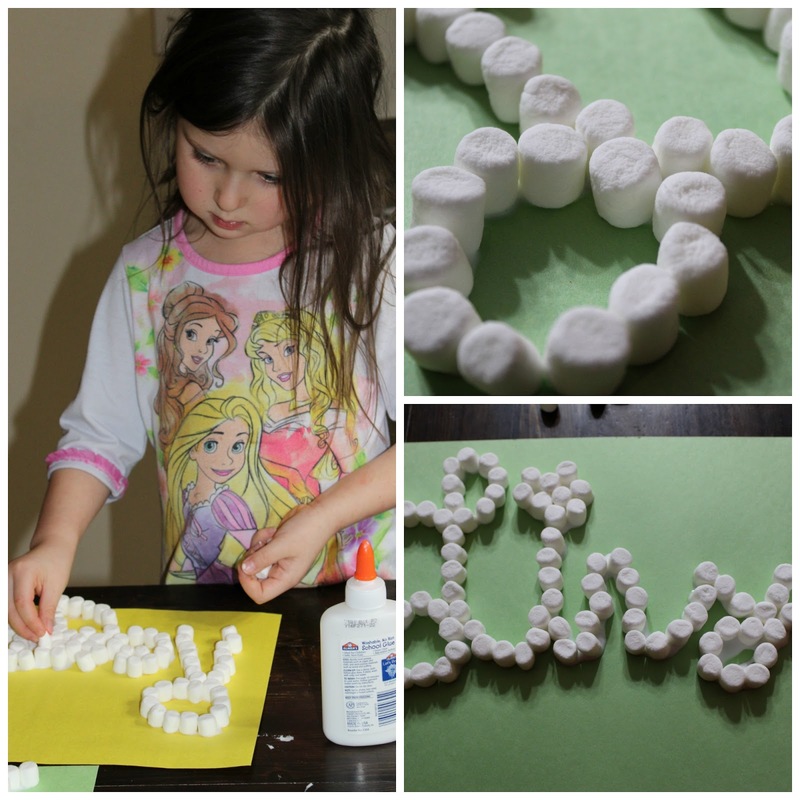 Have your little one follow the line of glue with marshmallows. Let them dry over night. Finally we pulled out or hot chocolate and marshmallow counting mat. I love making a counting mat for each theme. 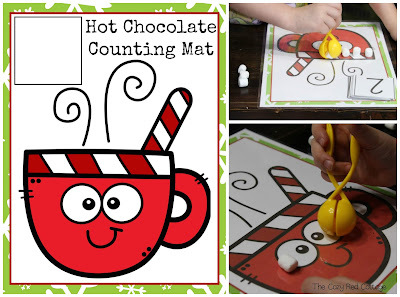 This is my favorite style of mat of counting mat because it is low prep, easily adjust to their skill level by adding or take away numbers and you are only printing one page in color instead of individual cards for each number. 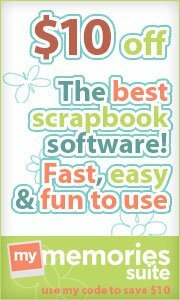 To create print the pages in the download below. Laminate. Cut number cards apart. If you have used any of our other number mats you already have the numbers and don't worry about printing them again. Place your number cards in the box-order doesn't matter. 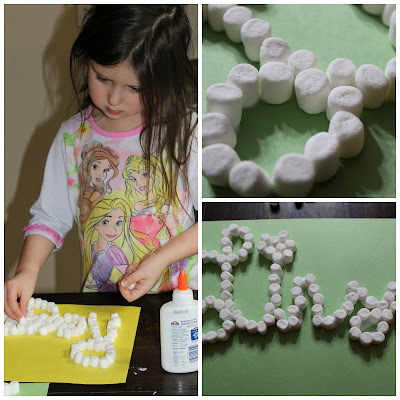 Use tongs, fine motor tools (like this one), or fingers to add the correct number of marshmallows to the board. Then clear the board and remove the card. Continue through the stack of cards. You can also do some simple addition or subtraction using two cards. Place two numbers on top. Add or take away the correct number of marshmallows. count how many marshmallows are in the cup. I love how a few simple, low prep activities are packed with learning. The best part is they are having so much fun they don't even realize its happening.